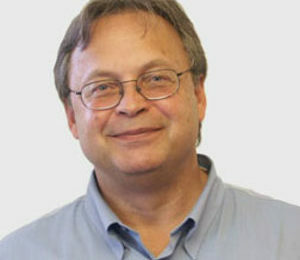 JOSEPH LSTIBUREK, B.A.Sc., M.Eng., Ph.D., P.Eng., is a principal of . He is a forensic engineer who investigates building failures and is internationally recognized as an authority on moisture-related building problems and indoor air quality. He is an ASHRAE Fellow, a member of ASTM and past chairman of ASTM E241 – Increasing the Durability of Building Assemblies from Moisture Induced Damage. He is a contributor and reviewer of Chapters 21 and 22 of ASHRAE Fundamentals. He is a voting member of ASHRAE Standard 62 – Ventilation for Acceptable Indoor Air Quality. Dr. Lstiburek is also a voting member of ASHRAE Technical Committee 4.3 Ventilation Requirements and Infiltration and ASHRAE Technical Committee 4.4 Building Materials and Building Envelope Performance. Dr. Lstiburek has appeared on public television’s Nova (“Can Buildings Make You Sick?”) and is the author of numerous books and technical papers on building science, indoor air quality, and durability. He is the author of the U.S. DOE Handbook on Moisture Control and a special contributor to the EPA guidance document on Building Air Quality: A Guide for Building Owners and Facility Managers. He is one of the world’s foremost authorities on energy efficient construction techniques and heads one of the four Building America program teams for the U.S. Department of Energy. He is the developer of ADA (the Air Drywall Approach to air barriers) and a building science researcher affiliated with the Centre for Building Science, University of Toronto. He is a former Director of Research of the Housing and Urban Development Association of Canada. Dr. Lstiburek has written numerous books and technical papers on building construction. He is the best selling author of the Builder Guides and has over 50 technical and journal articles to his credit. He has conducted forensic investigations and served as an expert witness on building failures all over the U.S. He is an expert in the areas of rain penetration, air barriers, vapor barriers, air quality, durability and construction technology. He specializes in rain damage and mold and microbial contamination of buildings. Dr. Lstiburek is an acclaimed public speaker and lecturer in building science. His seminars and presentations on building durability issues are attended by hundreds of architects, engineers, builders, and property managers in the United States each year. He recently concluded a 75 city tour on behalf of the Environmental Protection Agency and the Building Owners and Managers (BOMA) conducting seminars on Preventing and Mitigating Indoor Air Quality Problems. Dr. Lstiburek received an undergraduate degree in Mechanical Engineering from the University of Toronto, a masters degree in Civil Engineering from the University of Toronto and a Doctorate in Building Science at the University of Toronto. Dr. Lstiburek has been a licensed Professional Engineer since 1982. Some might say Lstiburek’s career is the best thing that happened to building science. His list of contributions to the field is long. He is an expert in the areas of rain penetration, air barriers, vapor barriers, air quality, durability and construction technology. He’s the author of the U.S. Department of Energy Handbook on Moisture Control, a special contributor to the U.S. EPA guidance document on Building Air Quality: A Guide for Building Owners and Facility Managers, and has written numerous other books and technical papers on building construction. He investigates building failures and is internationally recognized as an authority on moisture-related building problems and indoor air quality. His seminars on building durability issues are attended by hundreds of architects, engineers, builders, and property managers in the United States each year. He’s a member of ASTM and an ASHRAE fellow.